Recipe Roots: Brookline, MA > Manhattan, NYC > Washington, D.C.
It’s a scent that has followed him. His grandmother Martha Hadassah Nadich introduced him to it when he was young. After school, Alex would often head to her home on Manhattan’s Upper East Side, together they would pass the afternoons cooking and baking, particularly before Shabbat. 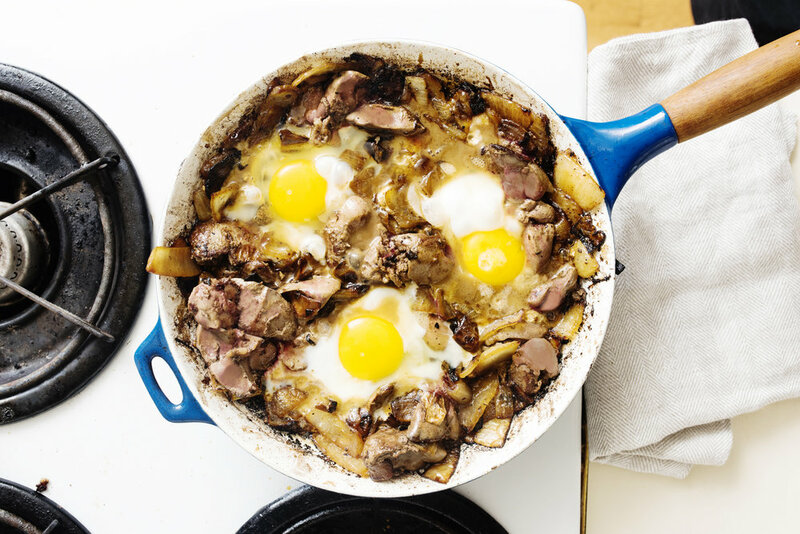 “She was never a cook who had just one option for [Shabbat] dinner,” or dessert, he says. There was often a cake, dried fruit and nuts and sweets like chocolate chip squares, which Alex likens to blondies speckled with chocolate chips and topped with meringue. Those recipes and experiences “became part of my culinary spirit,” he says. There was also always a simple three-strand challah. 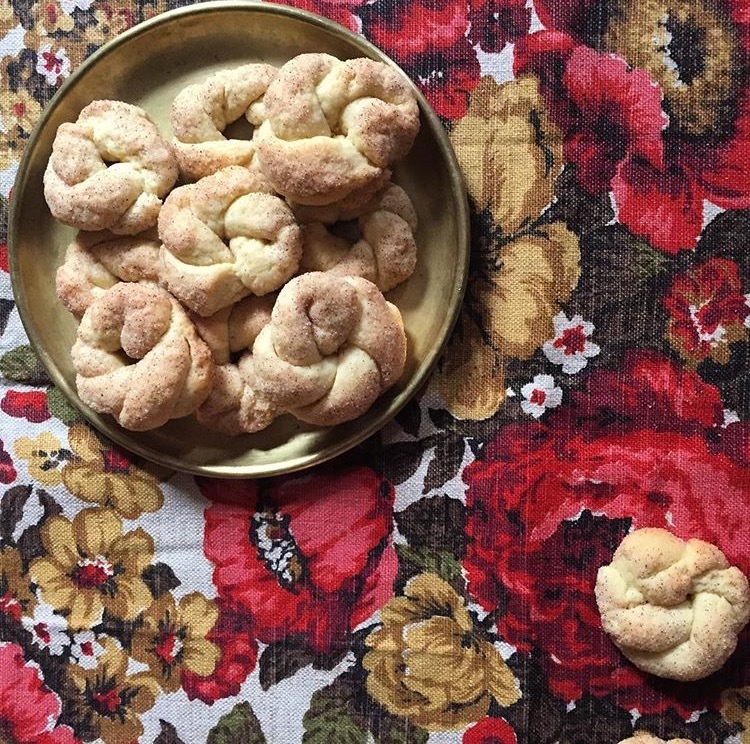 “In the 80s it wasn’t so easy to find challah in the store the way it is today,” he explains. So, Martha made her own. A custom Alex believes she started when she lived in Brookline, a Jewish area outside of Boston. She evolved into an accomplished homebaker, becoming a source of information for Craig Claibourne, the legendary food editor at the New York Times. For her challah, she would start with three eggs, a third of a cup of this and that. Feeling her way through the recipe, Alex recalls, she would add flour until the dough reached the consistency she was looking for. The bread wasn’t always the same. “Sometimes it would taste almost like a cake,” Alex explains. Still, it always graced the Shabbat table. That table was open to friends and colleagues of Martha and Alex’s grandfather Rabbi Judah Nadich, who after the Holocaust advised Dwight Eisenhower on issues facing those living in displaced persons camps. By the time Alex was 10, Shabbat dinners in his family had switched locations from his grandparents’ home to his parents on the Upper West Side, with Alex preparing the meal. It was never his intention to go to culinary school, however. After graduating from Yale and working on Wall Street he planned to go to business school. A conversation with a friend shifted that thinking. “I had a lot of fear about changing my life around to be a chef,” he says. He went to the Culinary Institute of America’s pastry program anyway. 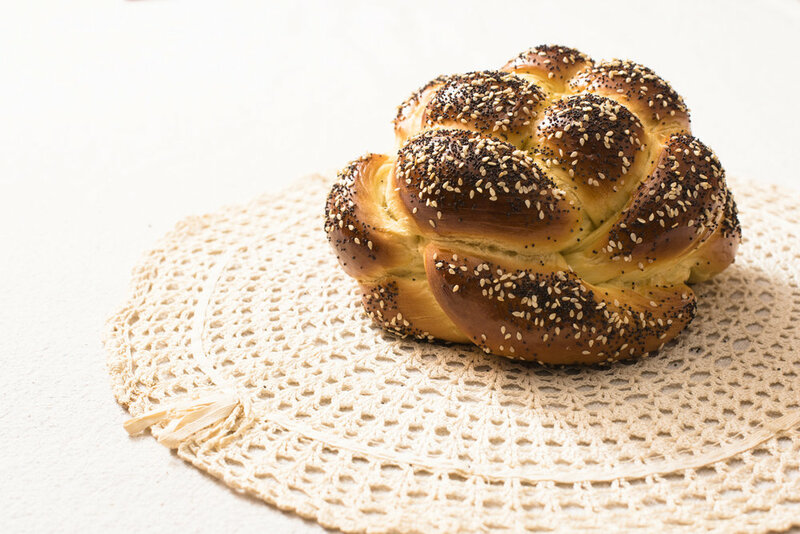 Challah reappeared in his life there, when he learned to braid a six-strand challah. “Every student needed to know how to pass the second part of our [pastry] program,” he says. As he worked his way up the ranks of restaurants like New York’s Jean-Georges and Cafe Boulud, he would spend his days off apprenticing in the kitchen at Breads Bakery, a bakery with its roots in Tel Aviv known for baker Uri Scheft’s challah. Alex started to document and tweak his grandmother’s recipe, putting it down on paper. “I don’t like variables of uncertainty,” he says like a classic pastry chef. He added milk to give it richness and depth of flavor and a sweeter egg wash, spending a few years adjusting it until he reached a recipe he was satisfied with. Today, he makes challah for French toast that he serves at brunch at Casolare, one of Michael Schlow’s restaurants, where Alex is the executive pastry chef of the group. “Challah is kind of designed for french toast,” he says. Dry it out a bit or let it grow stale on the counter and it will soak up the egg mixture perfectly. Weekend brunch isn’t the only cause for Alex to bake challah these days. Each year around Rosh Hashanah, he hosts a pop-up bakery in D.C. While it’s only July, he’s already planning for this year’s. “Our goal...is probably about a thousand” loaves, he says. *SAF Instant yeast can be purchased online. It is the same as rapid rise yeast, but different than active dry yeast that’s sold in supermarkets. 1. Place flour, salt and instant yeast in a large bowl and whisk to combine. 2. In the bowl of a stand mixer fitted with the dough hook, combine the water or milk, honey and eggs. If using oil and not butter, add it now. 3. Pour the dry ingredients over the wet ingredients. If using butter and not oil, add it now. 4. Mix for 2-3 minutes on the lowest speed until all of the dough comes together. Scrape the bowl on the sides and bottom with a spatula, then mix on low speed for 2 more minutes. The dough will seem very wet, but don’t be tempted to add any more flour. 5. Holding the bowl with your hands, turn the mixer to medium speed and mix aggressively until the dough detaches from the bottom of the bowl. This can take anywhere from 5-10 minutes. At this point, the dough will not feel as wet. 6. Place the dough in a large metal bowl that has been coated with cooking spray or oil, and cover tightly with plastic wrap. Let rise for 45-60 minutes in a warm spot in the kitchen, or until the dough has doubled in size. Remove the plastic wrap, and punch the dough down. Reseal with plastic wrap and let rise for 30 more minutes. 7. Meanwhile, make the egg wash by combining the egg, egg yolk, water, salt and honey and blending very well. Adjust the amount of honey based on your preference for how sweet you’d like the egg wash to be. 8. Transfer the dough to a clean work surface and divide into 6 equal portions. 9. Using no flour to shape the strands, flatten each piece roughly into a rectangle. From top to bottom, roll and pinch the dough tightly, turning each rectangle into a fat strand. Repeat with all the pieces. Then invert the strands, flatten and repeat the shaping process. Using a small amount of flour, roll each strand out until it forms a 12-14 inch long rope. 10. Pinch the ends of three ropes together and braid simply with three strands per loaf. Pinch and tuck the ends under the loaf. Repeat with the remaining strands. 11. Place the two loaves on a parchment-lined rimmed baking sheet and brush lightly with egg wash. Cover with plastic wrap and let rise for 30-45 minutes. 12. Meanwhile, preheat the oven to 350°F. 13. Brush with egg wash a second time, and sprinkle with garnishes if using (generously with seeds, lightly with salt). 14. Place the baking sheet on the middle rack of the oven and bake for 20 minutes, then brush each loaf with egg wash one final time. Rotate the baking sheet and bake another 15-20 minutes until golden on top or until a thermometer inserted into the middle of each challah reads 194°F. 15. Remove the challah from oven, and carefully place on a wire rack to cool. Serve or freeze once cool. To serve a frozen loaf, let the bread thaw completely, then heat in the oven for 15 minutes at 325°. 1. In a large bowl, whisk together the eggs, milk, sugar, vanilla bean seeds and salt to combine. 2. 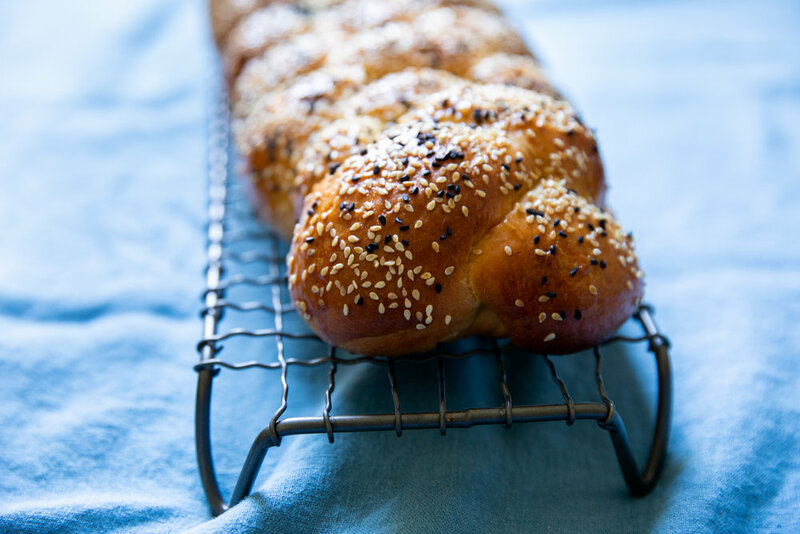 Place the challah slices in a shallow baking dish and pour the egg mixture over the bread. Flip the bread over to absorb the egg mixture into both sides and let soak for 5 minutes. 3. Heat a cast iron skillet or large saute pan over medium-high heat and add 2 tablespoons of butter. When the butter is sizzling, add the soaked challah and lower the heat slightly. Cook 2-3 minutes on each side until golden brown. Repeat with the remaining bread adding more butter as needed. You can keep the finished slices warm on a sheet tray in the oven while cooking the remaining batches. 4. Serve hot with maple syrup or macerated berries.